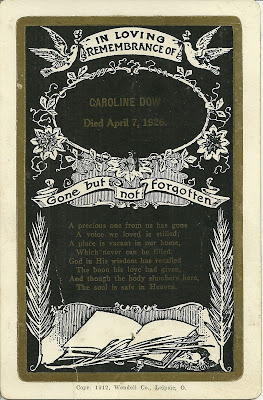 Memorial Card printed on the occasion of the death of Caroline Dow on 7 April 1926. The card was printed by the Wendell Company of Leipsic, Ohio, with a copyright date of 1912. 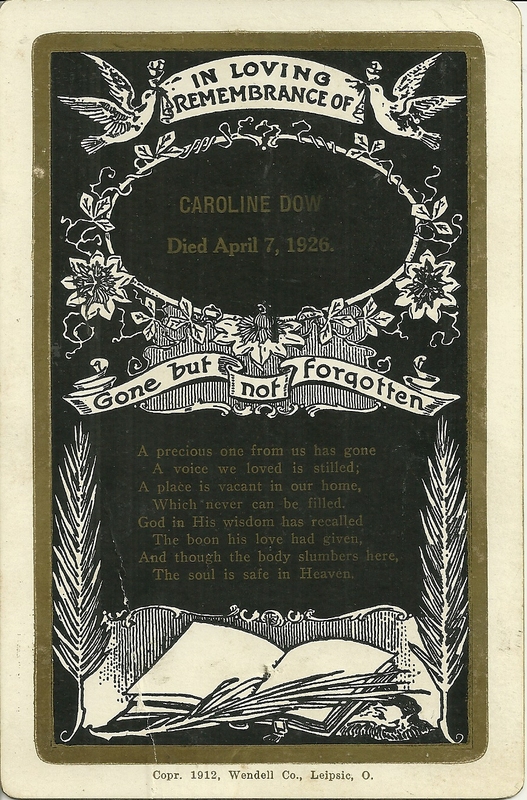 If you recognize Caroline Dow as a member of your family, or from your research, please leave a comment or contact me directly.